Across the Alps in Chambéry, Maison Dolin is riding the vermouth wave with strong backbar cred as the original vermouth blanc.Joseph Chavasse started the still-family-owned company in 1815 after traveling across the historic Savoy Kingdom to Turin, where he became acquainted with the burgeoning vermouth scene. Inspired, he opened up shop in Chambéry and began selling his more herbal, blanc version of vermouth. By 1900, Chavasses’s vermouth blanc had established a new global standard, winning a medal at the World’s Fair, influencing the creation of Italian vermouth bianco and, in 1934, prompting France to create an official AOC for Vermouth de Chambéry. Like aromatic cocktail bitters and amaro, vermouth has undergone a transformation in recent years, climbing from the recesses of the back bar to being anointed as an obsessed-over ingredient. Vermouth is a low-ABV, fortified wine that is lightly sweetened and aromatized with herbs, spices and bitter botanicals. While there are distinctive styles of vermouth, the select, proprietary blends—which include ingredients like orange peel, wormwood, angelica root, coriander, clove, cinnamon, vanilla and juniper—are what give producers a unique thumbprint with each expression. Add to that a diversity in fortified wine bases and methods of production, and you have an astonishing array of expressions within the category. In addition to being put to use in spiritous classic cocktails, vermouth has played pivotal role in the resurgence of low-ABV drinks. Vermouth will play a great role in bartender arsenal to use as a base for low-proof cocktails. 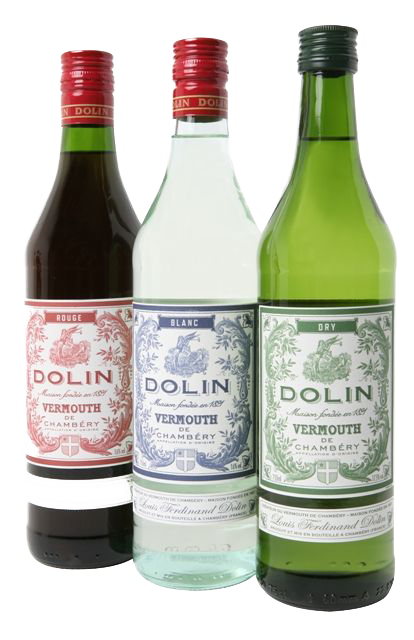 France and Italy both produce this style of clear, rich, sweet vermouth, but it’s Dolin de Chambéry, from Chambéry, France, that has led the charge in building awareness for it. Its popularity among bartenders has increased in recent years. This style of vermouth, first produced by Joseph Noilly in the early 1800s in Marseille, France, is a contrast to sweet vermouth and more aggressive with floral and herbal notes. This style, with a sugar content of 10 to 15 percent travels under the names sweet, red (rosso) or Italian. It has a garnet color and is sweet, spicy and lightly herbaceous. 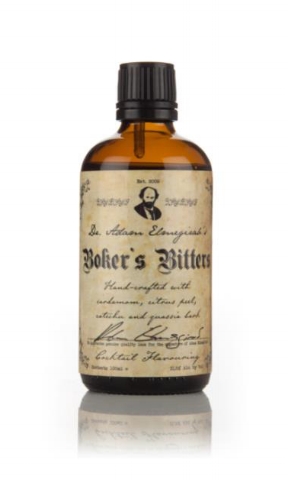 Bitters, simply, are compounds produced by extracting the flavour of botanicals such as herbs, spices, roots, and barks with high strength spirit. Beginning life in the late 1600s as a treatment for gout, specifically in this case Sydenham's Bitters created by Thomas Sydenham, their medicinal use would later become predominantly linked with digestive ailments which is where they found their place in mixed drinks, and that use later creating two separate factions of bitters, those intended for medicinal use and those which adopted a more culinary approach with a view to flavour food and principally drink. It is the latter style the Dr. Adam Elmegirab's Bitters portfolio are focused on with the likes of cacao, tea, chillies and chocolate joining more traditional botanicals in our formulations, however there's also a nod to their medicinal history throughout hence the “doctor” branding. Utilised by bartenders and chefs as a liquid spice rack, bitters are typically dashed into drinks and food to act as a flavouring agent, binder and lengthener. Due to the myriad of flavour they contain, bitters assist in the integration of flavour within cocktails, bridging gaps between the various components, enhancing or complementing existing flavours, and adding layers of complexity, depth and character. For a simple analogy just consider what salt and pepper does for a meal. 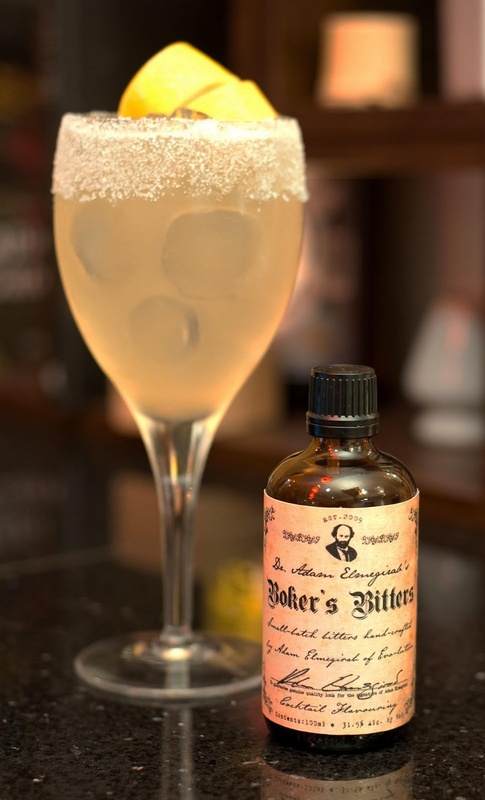 Adam Elan-Elmegirab left his mark on the cocktail world when in 2009, after 18 months of research, he reformulated Boker's Bitters a century after they had disappeared. The passing of both Johann Gottlieb Boker and his son-in-law Louis Funke Jr., original custodians of the Boker's brand, coupled with the ravages of Prohibition and the Pure Food & Drug act of 1906, meant that one of the finest bitters of the first Golden Age of the cocktail were lost to the sands of time. When not shocking his palate with intensely bitter liquid, Adam travels extensively, writes for a number of drinks media publications, is the author of the Book of Bitters published in October 2017, has been a judge for Tales of the Cocktail's Spirited Awards and is currently an academy member for Drink International's World's 50 Best Bars awards as well as a panelist for the CLASS Bar Awards, preaches the virtues of the power of collaboration as seen with his work alongside a number of world famous bars and brands, and regularly presents seminars and tastings at national and international cocktail events such as Boutique Bar Show, Whisky Live Paris, Whisky Live Dublin, Prague Bar Show, London Cocktail Week and Tales of the Cocktail. Ask our team for a taste of this incredible bitterness...and you'll 'LOVE THEM ALL'.